We provide cast, crew, set, and props to perform as a turnkey production in your venue. Contact us for pricing details. Doris Claus' merry disposition is disrupted by her hormones, husband, mother-in-law, two kids, and impending elf strike. Join Doris on Christmas Eve as she ties up a few loose ends and tries to salvage what is left of her mind. You may also produce and perform this work yourself by licensing the rights through us. 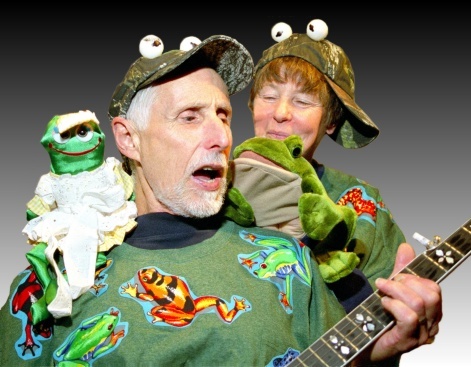 Classic Christmas carols with an amphibian twist performed by Ted and the Toads!